The LiteBeam AC us is an ultra-lightweight 2x2 MIMO airMAX ac CPE device with incredible range and disruptive pricing. 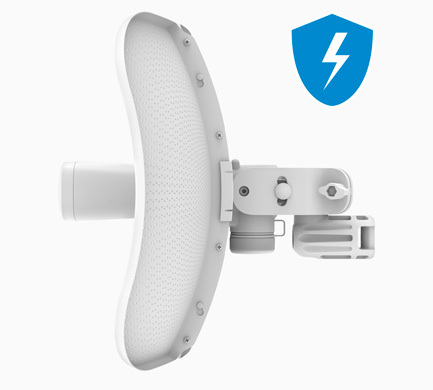 The LiteBeam 5AC US from Ubiquiti Networks features a two-mount system that provides adjustment flexibility along both axes for versatile mounting options. The mounting system, couples with the built-in bubble level, enables quick and easy alignment. 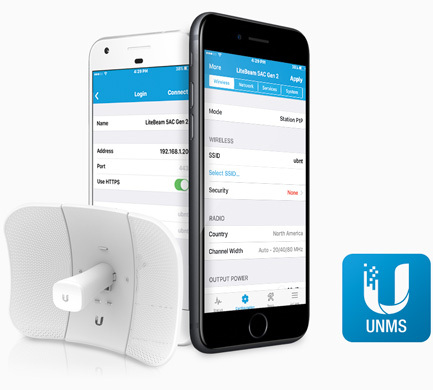 Ubiquiti Networks launches the latest generation of airMAX CPE (Customer Premises Equipment), the LiteBeam 5AC Gen 2, with dedicated Wi-Fi management. The LiteBeam® AC provides 23 dBi of gain for long-distance connectivity and uses a directional antenna pattern for improved noise immunity. A lightweight form factor contained within ultra-compact packaging, the LiteBeam® AC is ideal for shipping and logistics.